So, you’ve purchased your own home and want to educate yourself on prudent and effective home maintenance. You’ve learned the basics about your plumbing system and have even brandished an adjustable wrench a time or two. Kudos on taking responsible steps to safeguard your home investment. 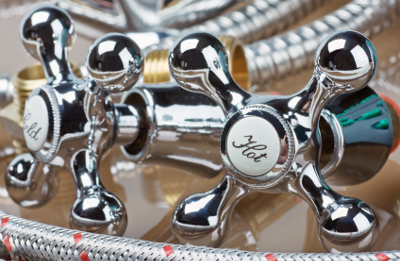 However, make sure you aren’t being fooled by some common home plumbing myths that are at best useless and at worst could end up costing you a lot of money. Don’t worry about a leaky tap: It’s just a tiny drip, how big a problem could it possibly be? Very big. According to the EPA, a leak can lead to 10,000 wasted gallons of water per year in a single household, or the equivalent of 270 loads of laundry. Plus, a leak can actually damage the tap and stain the fixture. Get it fixed ASAP. Toilets make a great garbage chute: Unless you want toilet water overflowing onto your floor, followed by a nasty plumbing job and cleanup, never flush anything except toilet paper and human waste. Lemons and water are the key to a clean and functional garbage disposal: While a lemon slice or two can help eliminate odors, they don’t do anything in the way of cleaning. Read your manual to find out what kind of maintenance your disposal really needs to keep it running in peak form. Similarly, water will not prevent clogging. If you toss in something that the disposal isn’t equipped to handle, or if you overload it with too much at once, running water at the same time won’t be enough to prevent a clog or other damage. You don’t need to think about your pipes unless they are clogged: Just because the water is draining for now doesn’t mean you don’t have nasty clogs building up in your pipes. Debris like food in the kitchen sink and hair and shampoo in the bathroom can accumulate over time, until the water starts backing up at the worst possible moment. Always practice good drain hygiene by using a trap to catch any solids, and have your system inspected annually to make sure there isn’t a major issue lurking just around the corner. You can also ask your plumber about maintenance products that will help keep your drains clear without damaging pipes. In an emergency, any plumber will do: When you have a major problem and need plumbing assistance immediately, it’s tempting to hire the first handyman who answers the phone. However, if you trust your pipes to an untested novice you could find yourself out a lot of money while the problem remains unresolved, or even worsens. Only accept experienced professionals when it comes to the plumbing in your house so you know the job will be done right the first time. Your Rods Away plumbers are here to help 24/7 with any plumbing problem. Give us a call for more pluming tips or to schedule an appointment. Next Post BATHS OR SHOWERS: WHICH IS BETTER?